Here’s some potentially good news for North Carolina consumers for the New Year. Our power bills may be getting lower come January 1st and here’s why. Utility companies will be seeing changes to their tax rates that will result in overall cuts to their expenses and increases to their profits – and NC’s Attorney General Roy Cooper is expecting the corporations to pass these savings on to us in the form of lower bills. Cooper requested that the Utilities Commission ensure that the savings are passed on to consumers rather than being used to bump up the bottom lines of utility providers. Cooper said: “Overall lower taxes paid by utilities ought to mean lower bills for their customers. We asked the Utilities Commission to make sure that’s the case.” This announcement comes hand in hand with Cooper’s fight to reject rate increases for Duke Energy, Progress Energy and Dominion Power. Duke Energy proactively announced a rate cut for customers (as a result of its recent merger) beginning ahead of the tax changes that will average a little more than $2.10 per month. But before you scoff at such a small decrease, bear in mind that many NC energy providers have been pushing for a rate increase despite the fact that the tax changes should result in overall advantages for the profitable energy providers. Commercial and industrial customers can expect to see heftier rate decreases. Cut back on air conditioning A/C can eat up half of your annual power bill. Dialing it back when you’re not at home on hot summer days can help, as can getting annual tune ups to make sure your units are working at peak efficiency. Use curtains to block out light and cold Heavy duty curtains can keep the cold out in winter and keep the hot summer sun out in the warmest months. These are both moves that can reduce your seasonal utility bills without making you uncomfortable. 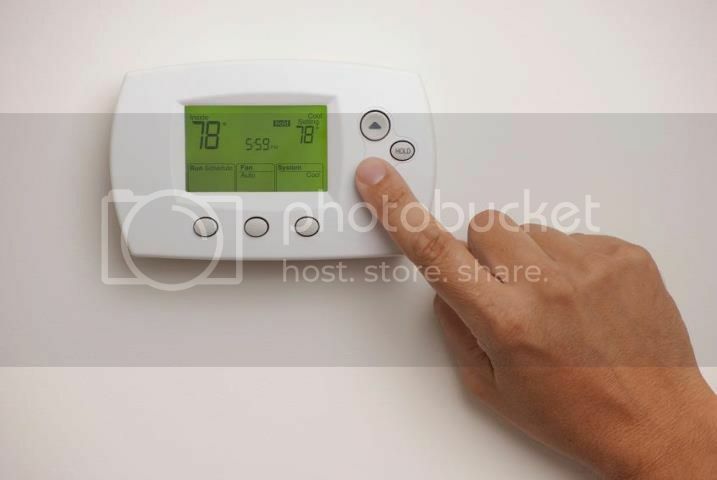 Get a programmable thermostat This low cost tool will allow you to regulate when your house is cooler when you’re at home during peak heat hours, when it can be allowed to be warmer when you’re sleeping on cooler evenings and will see you paying less on your monthly bills. Turn off and unplug appliances Even if an appliance is off, it can still draw power if it’s plugged in. Unplug things you use just once per day or periodically such as your coffee maker, microwave or toaster oven. TVs and computers can be kept on a power strip that you can flip on when you’re ready to use. Switch out your bulbs Swapping out traditional incandescent for fluorescent bulbs can save you five to ten times less per bulb changed. This will save energy without leaving you in the dark. Another plus is you’ll have fewer burnouts so you’ll have to change bulbs less often. Use electricity off-peak Find out if your energy providers offer cheaper electricity rates during off-peak hours. These are typically between 10 pm and 6 am. If you can run your washer and dryer, your dishwasher and other appliances during cheaper times you can save a bit more. Any money you can save on utility bills can go towards other debts – or be funneled into your savings. If you’re dealing with a debt dilemma and aren’t sure how to get back on track financially, contact the law offices of John T Orcutt to find out if you’re eligible for – and could benefit from – a Chapter 7 or Chapter 13 bankruptcy to get a financial fresh start.